The Governors subdivision offers a wide assortment of ranch & traditional homes. Lots are smaller and easy to maintain. Some lots are up to .8 acres, but most are in a range between .2 to .4 acres. Homes sizes range 2,100 – 2800 square feet with a variety of home plans to choose from. The community includes over 10 acres of common ground where the amenities are located; that includes a swimming pool, tennis courts and open fields for outdoor activities. The Governors is located in Anderson County even though it is surrounded on three side by City of Anderson city limits; thus The Governors enjoys no city taxes. It location is perhaps one of The Governors strongest attractions. Grocery stores are within walking distance, the YMCA Anmed N. Campus, and McCants Middle School. The Governors is within a 3 miles radius of Anderson District V most highly rated schools. To view available homes in The Governors click here. When your home is on the market keeping your home neat and tidy all of the time isn’t always easy. A cluttered house is a big turn off for buyers. Buyers have a hard time seeing through the clutter to the home’s attributes. Follow these few tips and learn how to take control of the clutter in your home. By de- cluttering your home rooms look cleaner and larger. Working one room at a time, divide everything you own into three piles: keep, donate or sell, and trash. This can be a time-consuming process, but it’s a great way to uncover problem spots in your home or in your daily habits. After this step you can see what is left and can start to determine your storage needs. Next, with you “keep” pile determine spots for storage solutions so items are easily accessible and likely to be returned. Example, install hooks to hang coats, hampers in kids rooms, a nice bowl at the entry for keys, etc. As you look for organizational opportunities, assess each room’s unique possibilities for transforming unused space. Can you add a rack, shelves, or another solution to the walls to take your storage vertical? Are there specially sized bins that could capture the area under a bed or between the refrigerator and wall? Is it possible to replace or add furniture that pulls double duty as storage, such as a lidded ottoman or a bench with drawers and baskets underneath? It’s finally time to put everything in its place. Decide exactly how many storage products you need, including the kind, style and the size. Putting together a complete list before shopping prevents buying lots of pretty bins that end up unused while clutter continues to mount. If you prefer items that match your decor, try to find solutions you can label. You don’t have to stick to the organizing store or aisle when looking for storage. You can find solutions anywhere when you get creative. In the kitchen, install a vertical magazine rack inside a cabinet to store pot lids. For the bathroom, a magnetic strip in the medicine cabinet can hold tweezers and small tools, and a plastic tub with a handle is a great way to tote accessories from the closet to the tub or vanity. In your bedroom, place a ladder against the wall to hold extra blankets. Spring Buyers Are Here! What Sellers Should Do To Be Ready. If you’re planning to sell your home this year, now’s the time to get your home in shape and ready for spring house-hunting season. Go through your closets and pack any clothes that you haven’t worn lately. Pack them up or donate to your favorite charity. By reducing your unworn clothes in your closet will make your closet look bigger and more appealing to buyers. In your cabinets, organize all of the cans and bottles in straight rows with room to spare, this will give the feeling of ample storage. Dig deep and keep that spring cleaning spirit by tackling other space-challenged areas in your home. Rooms with clutter, the laundry room and garage can end up as emergency dumping grounds and result in areas looking small and unmanageable. Toss the trash and use handy (and stylish) storage gear to keep what’s left looking tidy. 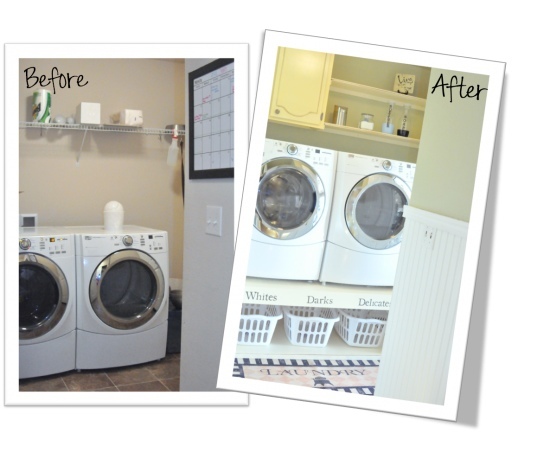 A trip to Lowes or Home Depot will help you devise your storage system with ease. Once the stuff is out of the way, take a look around. Beware! You may not like what you see. Are the carpets dingy? Are there scuff marks on the walls and trim? Sauce splatters in the kitchen? Just because you haven’t noticed your home’s imperfections before doesn’t mean a prospective buyer won’t spot them immediately. Homes sell faster and at a better price when they’re squeaky clean, so use a little elbow grease and get your home in sparkling condition. If you don’t have time to do this your Realtor can suggest a good cleaning company to get your home sparkling again. Then get the whole family on board to keep your home looking picture perfect for showings. Divide and conquer the household chores so you can be ready for visitors at a moment’s notice. Have laundry baskets or bins available to put clutter in and put in your car during showings. Inspect the outside of your home. Saggy gutters, faded or chipped paint and unruly landscaping are all big homebuyer turnoffs. A layer of mulch can do wonders and ask your Realtor their opinion of the exterior of your home to see if something needs to be fixed in order to get your home sold fast. 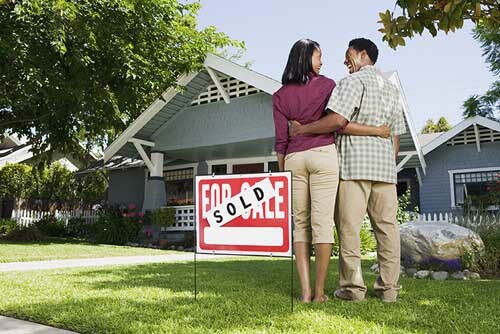 Bigger problems like loose shingles or plumbing issues need to be addressed before you put your home on the market. Buyers will be willing to pay more for a home that’s in move-in condition than one that needs work. It’s always a good idea to get a professional’s opinion about getting your home ready to put on the market. An experienced real estate agent can tell you what grabs the attention of buyers in your market and what things they ignore. They will often be able to recommended a few businesses that can suit your needs. It is time to start thinking of those Spring & Summer gardens. Although it is not time to plant them yet there are several things that a good gardener does during this time of the year. With this Winter being so unpredictable, and wonderful Spring like days, I repeat do not plant yet. Just prepare for those gardens and your landscaping will look fabulous in the days to come. Most fruit trees (or those that flower) benefit from being thinned every year, this also includes Butterfly bushes. This encourages a more open habit that keeps the trees healthy and makes it easier to harvest fruit when they produce. The best time to prune is before new growth develops and after the threat of a hard freeze is gone. Prune your roses just as or before new growth emerges from the canes. Cutting your roses back encourages strong, healthy shoots that will produce lots of blooms. A trim also gives the plants a more open habit, which helps them resist diseases such as black spot. It is also a good time to fertilize them. If you spread a layer of winter mulch to protect your plants from the winter, you’ll want to remove it when plants begin to grow and danger of a hard freeze is past. Test Garden Tip: Keep mulch or some type of covering handy to protect your plants in the case of an unseasonably late arctic blast. Or a bed sheet will work equally as well. 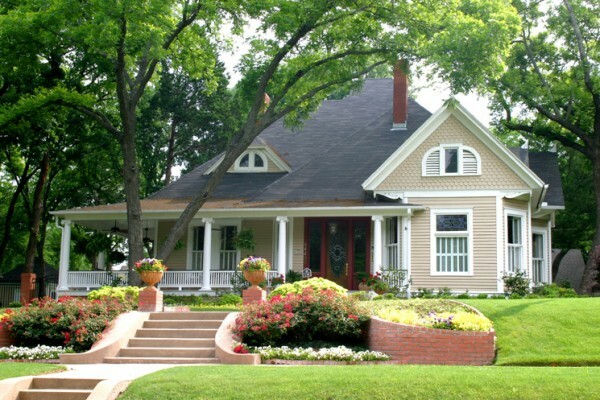 Spring’s cool, moist conditions make it the perfect time to add trees and shrubs to your yard. There are many reasons to grow trees and shrubs: They add value and beauty to your property. They can shade your home, reducing your summer energy bill. The most common mistake when planting trees and shrubs is planting them too deeply. The root flare, where the roots meet the trunk, should be at or just above the soil level. Cut back ornamental grasses to about 4 inches tall before or just as they put out new growth. This is also the time to divide ornamental grasses, if you wish to do so. Give older perennials new life by dividing them. Dig up varieties (such as iris, black eye Susan, bee balm, aster, spider grass, and many hostas) that form dense clumps and split them apart. They’ll bloom better when they’re not crowding each other out. 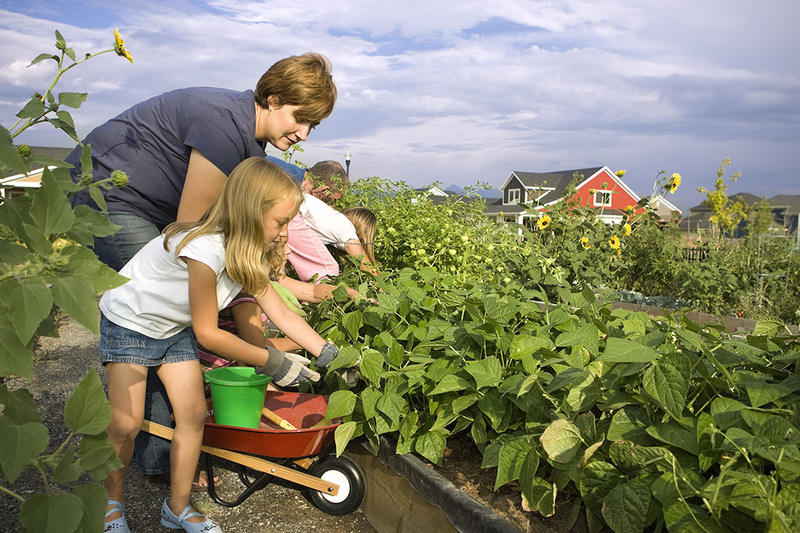 Find a friend or neighbor and swap varieties to enhance both of your gardens. While tomatoes, peppers, and squash love hot summer weather, you can plant carrots, radishes, spinach, and other cool-season varieties while there’s still a bit of frost in the air. They’ll withstand light freezes easily, but need to be covered if the temperature drops into the low 20s. Weeding is usually voted gardening’s most dreaded task, and as such, it’s often put off. But it is a necessary evil so get down there and pull them by hand, use a hoe, or otherwise remove weeds while they’re little, and you’ll make the job considerably easier later in the season when it is sweltering hot. Small root systems are less work to pull, and if you get them before they go to seed, you’ll have fewer weeds in the future. When the soil has warmed up and dried out in spring, spread a 2-inch-deep layer of mulch (such as shredded wood, pine needles, or compost) over the soil surface to discourage weeds in your planting beds and hold moisture once hot summer days arrive. I would wait until all of the flowing trees discard their flowers and wing dings for a clean look. 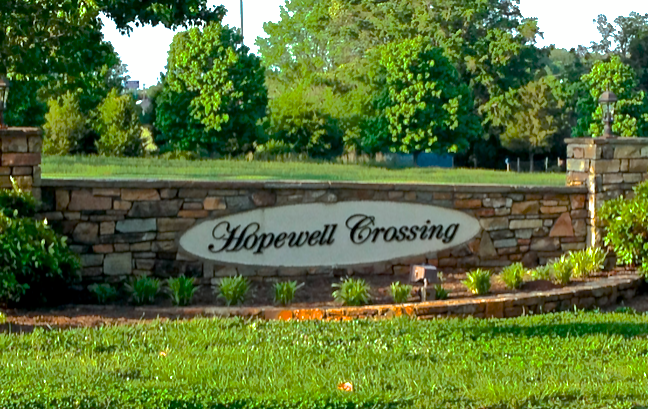 Hopewell Crossing is an elegant home community with well-established homes. Home styles are traditional yet unique and offer residents a “one of a kind” home while maintaining the neighborhood’s fine integrity. Homes are brick, stucco and hardy plank. The lots are large, hardwood trees abound, finely manicured lawns and an active Home Owner Association. For more information about the community you can visit their facebook page by clicking here. The schools that Hopewell Crossing is zoned for are Midway Elementary, Glenview Middle and TL Hanna High School. The location is also prime located off HWY81 North and close to I85 making it a perfect subdivision for commuters. Click here to see homes and lots available in this fine neighborhood.